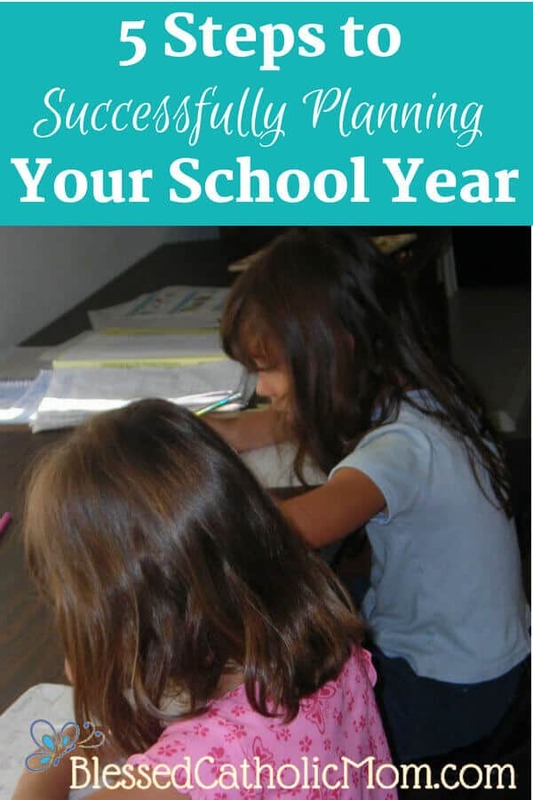 5 Steps to Successfully Planning Your Homeschool Year - Easy steps for less stress. One of my favorite times of the school year is the spring. I look forward to the winding down of our current homeschool year and the beginning of planning for our next one. Each year I follow the same format for planning. 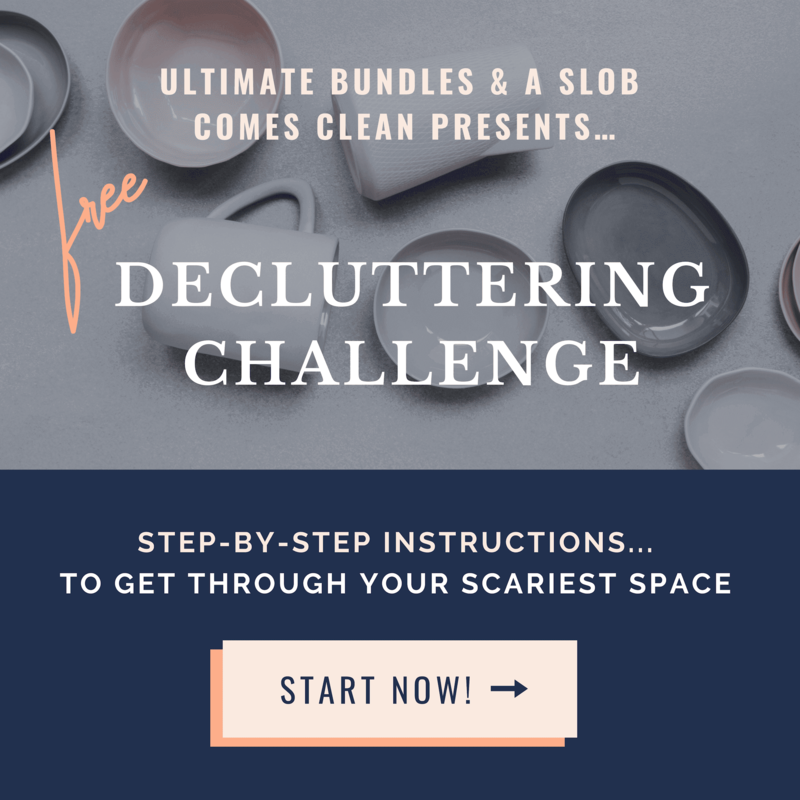 Since I started doing this, planning is not so overwhelming or intimidating to me. Following this 5 step process has taken away a lot of anxiety for me and made the adventure of planning our next school year much easier. Pray at each step of the evaluating and planning process. God will guide and help me in planning out our year. 1. Evaluate the current year with each child. I discovered this idea out of desperation one day. We were in a period of time with young students and a nursing baby and I felt overwhelmed and just wanted a break from school, but I did not want to take a day off because I did not want the kids to think we would just take a day off just because we felt like it. (Whew! That was a long sentence!) I had the idea to hold student-teacher conferences. I gathered the current year’s books, a piece of paper per child, a pen, and sat down with each child one on one. We went through each subject together. I asked questions and listened to what they wanted to share with me as we talked about the year. How do you like this subject? What do you like about it? What do you not like about it? What do you think about the materials we are using? What do you like? What do you not like? This evaluation helped me to see things more from our children’s point of view. It helped me to better understand what worked and why or what didn’t work and why for each child with each subject. Yes, I did know a lot of this information from working with them during the year, but we never set aside a specific time to talk about this. Doing so showed them that I cared about how they were enjoying school and helped them to be more a part of their education. 2. Decide what subjects each child will have next year. Decide individual subjects for each child. 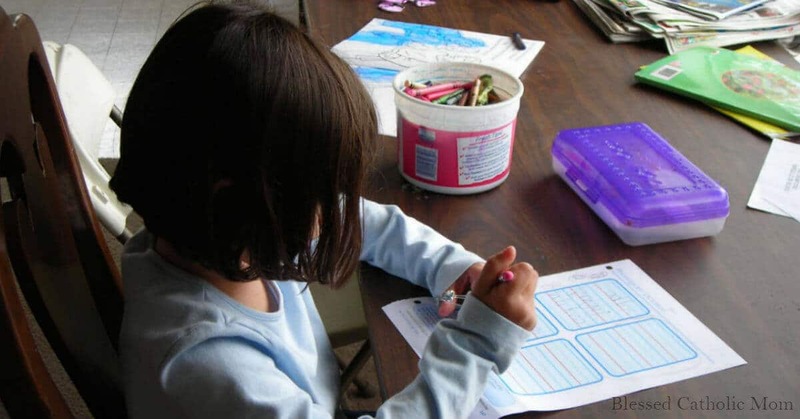 Make a list of the subjects each child will cover the next year. When I need some guidance to decide this, I look at the educational standards for my state and what the Catholic homeschool programs use. I also consider what my husband and I want to make sure our children learn, like a foreign language and geography. Decide class subjects to do together. Will there be any subject you cover for all your children for more than one child? 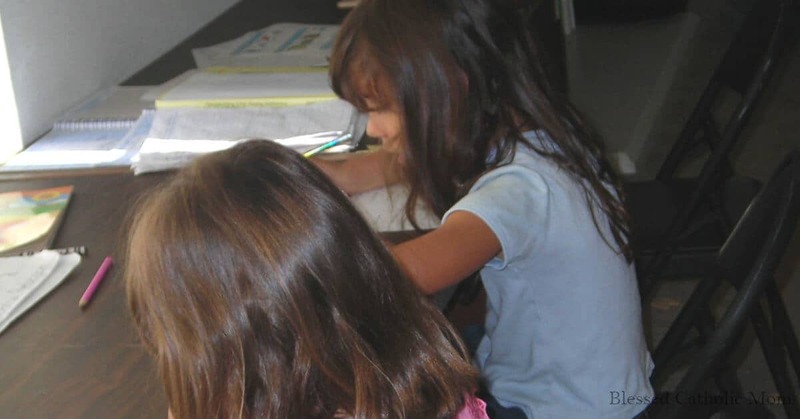 In the elementary grades, we usually have one subject that everyone does together. I have chosen a different one each year. We have had poetry, geography, and Spanish together, some of them for more than one year. Our oldest two children are just a grade apart. They studied science and history together for a few years until their interests took them in different directions. Doing subjects together certainly saves time and it is also fun for the kids to work together. I have fond memories of our oldest two kids laying on the floor, books spread out in front of them, discussing their science assignment and working on it together. Looking at your notes from the student teacher conferences, decide for each subject what materials you will use in the next school year. Beware: this can also be overwhelming with so many choices available. Remember, your objective is to meet the educational needs of your child. Keeping this focus helps prevent me from becoming overwhelmed. Is what we are using working for this child? During your student teacher conference, a child may say that he does not like a certain curriculum that he is using, yet the material you are using is just fine and you think it does a great job explaining the concepts. He is learning and progressing in spite of saying he does not like it. This could be that the child does not like the subject itself, rather than the curriculum. In this case, no matter what curriculum you use, you know he will probably complain about the subject. In this case, stick with the next level of the curriculum for next year. Beware of jumping from one curriculum to another each year. This can disrupt continuity and leave gaps in learning, since different curriculum programs may teach concepts in a different order. If what you are using works, stick with it. Avoid the temptation to change just because something else looks great. Is what we are using not working for this child? Sometimes a curriculum is not a good fit for a student and this adds stress to the learning process. If that is the case, look at other options for the subject or adapt what you have already to better suit the way your child learns. Ask friends what they like and why. See if you can look at what they use. Look at homeschool forums for ideas and search online. Some publishers have the table of contents, sample pages, or videos on their website so you can see what their book or program is like. Take your time to figure this out. By investing the time now you will be saving a potential headache later in the year. If at the end of the year you know that it was not as good if a fit as you expected, research other options for the following year. What new subjects will this child be covering next year? Follow the same guidelines mentioned above. Knowing the way your child learns (visual, auditory, or kinesthetic) is helpful when deciding on curriculum. One of my children, for instance, likes the organization of workbooks. He likes to know what to expect next and have a logical order to follow. Another of my children prefers hands-on projects. Gearing what I choose to how they learn makes learning more fun and meaningful. 4. Decide if you will go to a homeschool conference. There is a Catholic homeschool conference every year in my area. When I go I always learn something new. Conferences have different topics covered by a variety of speakers. If I feel overwhelmed in deciding what speakers to listen to because there are so many I want to hear, I use the following question to narrow down my choices to make a decision: “What do I need to know right now?” I focus on that and trust that the topics I am missing this year will be covered again in the future. There are vendors at conferences, too, with curriculum and materials you can look at. This can help you finalize what you want to use for your kids next year. Some vendors offer conference discounts on their materials, so it can be a great place to purchase what you need if you already know what you want. To find some great bargains, check if there is used curriculum for sale at the conference. 5. Purchase your materials and supplies. Look for sales and discounts. Usually, towards the end of the school year curriculum vendors will have sales on items or offer reduced rate shipping. As we get into the beginning of summer, homeschoolers will sell what they have finished using or what they bought and never used. It is a great way to get what you need at a lower price. You can look for forums online or ask in your local homeschool group. 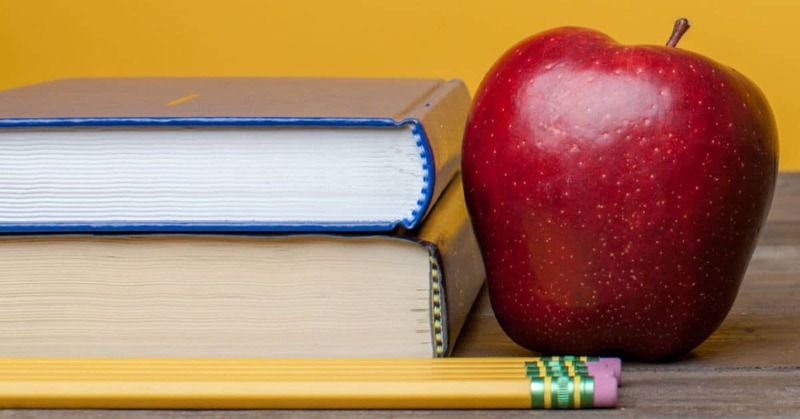 Office supply stores and chain stores often have great back-to-school deals on school supplies in the summer. I try to stock up at this time. Let your kids pick out something fun. It does not have to be expensive or big. You can let them pick out a folder or their own pack of pencils or erasers. Selecting their own items helps them get excited about beginning a new year and they feel more a part of the preparation. It is always fun to start the new year with a smile. Enjoy the process and don’t (or try not to) stress about it. Yes, this may be easier said than done. I notice that when I work methodically through this 5 step process I have less stress in planning the curriculum for our next year. I am not running around like a chicken with my head cut off wondering what to do next and not really getting any decisions made or planning done at all. I know my husband and I were called to homeschool our kids. God is with me and will guide me when I seek Him and ask Him for help. I trust in Him and work to let go of my insecurities and try not to over think everything! I hope these steps will be valuable to you as you evaluate your current homeschool year and plan for your next one. Remember, God is always with you. You can do this! 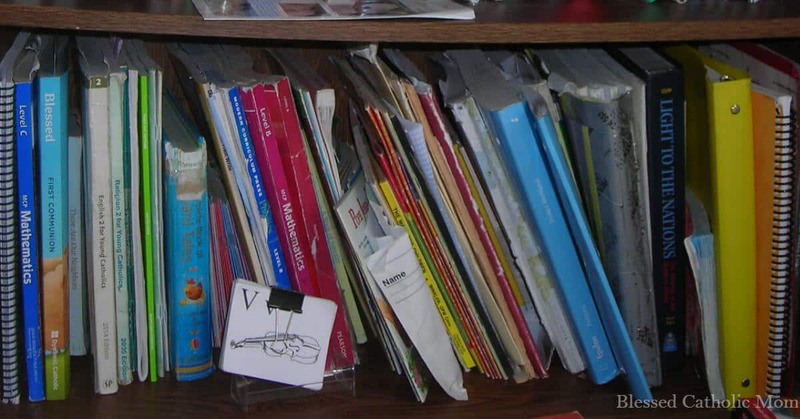 Related article: Once your planning is done, you can read “5 Steps to Successfully Organizing Your Homeschool Year” for 5 steps to organizing your materials once you have them.